For 2017 we’re offering multiple distances on the same event where the routes overlap so riders can roll out together and at least do part of the ride before those doing longer distances soldier on. Our first ride of 2017 in this format combined the “Where Fledglings Dare 200K” with “Where Eagles Dare 300K”. 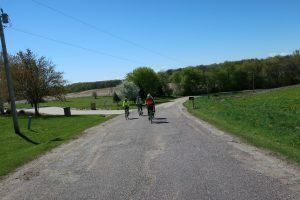 We had 2 riders (Ron S. and Lech K.) doing the 200K and 6 riders (Carol, Sheri, Bob, Bill, Greg and Jim) doing the 300K. 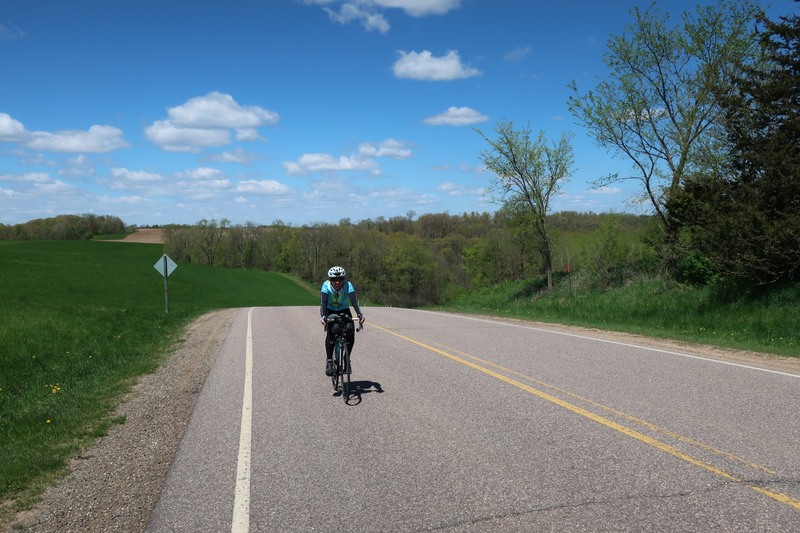 This was Sheri’s first 300K and she picked a toughie for her inaugural go at the distance! The temperature was quite cool at the start, in the lower 40’s but the day promised highs in the mid 60’s by late afternoon although we would have a stiffish north wind for most of the day. This really wasn’t all that troublesome given the route direction, we wouldn’t be going straight north until the end of the day when the wind would (hopefully) die down a bit. At the start. Carol, Lech, Bob, Bill, Greg and Jim. Sheri and Ron not shown. 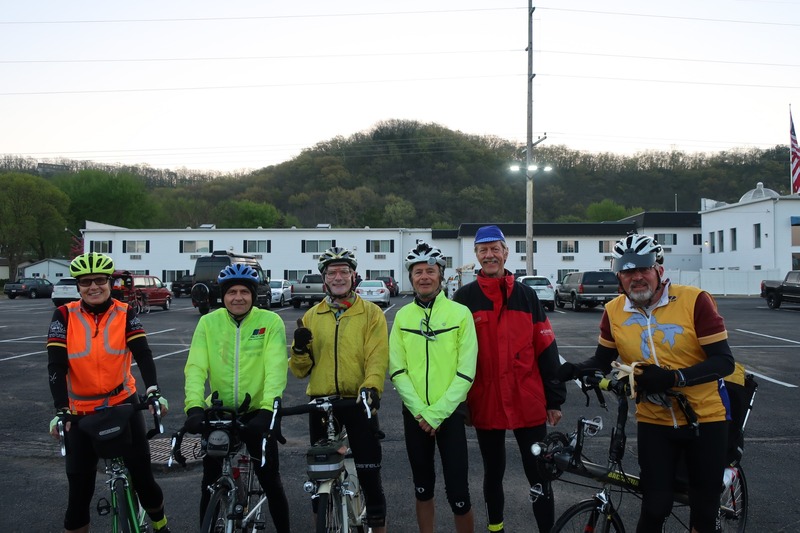 We got underway promptly at 06:00 and rolled out of the “big city” on quiet roads.The strategy for riding as a group mostly worked well as 5 of us (Lech, Greg, Carol, Sheri and Bill) rode together for the majority of the day. 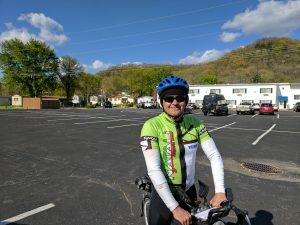 Jim was on a recumbent so he was a little slower on the extended climbs but given the nature of the terrain he stayed impressively close for a good part of the day – we’d see him rolling onto the controls as we were leaving. 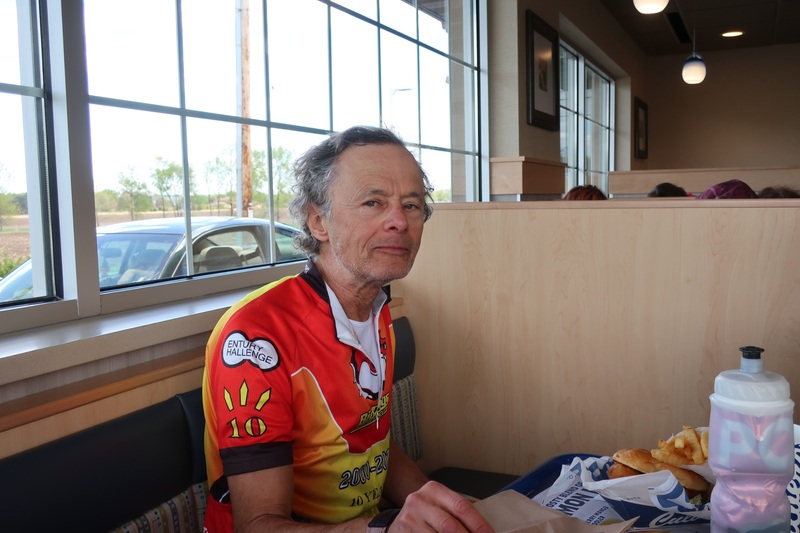 Ron rode solo for most of the day but finished well inside the time limit. 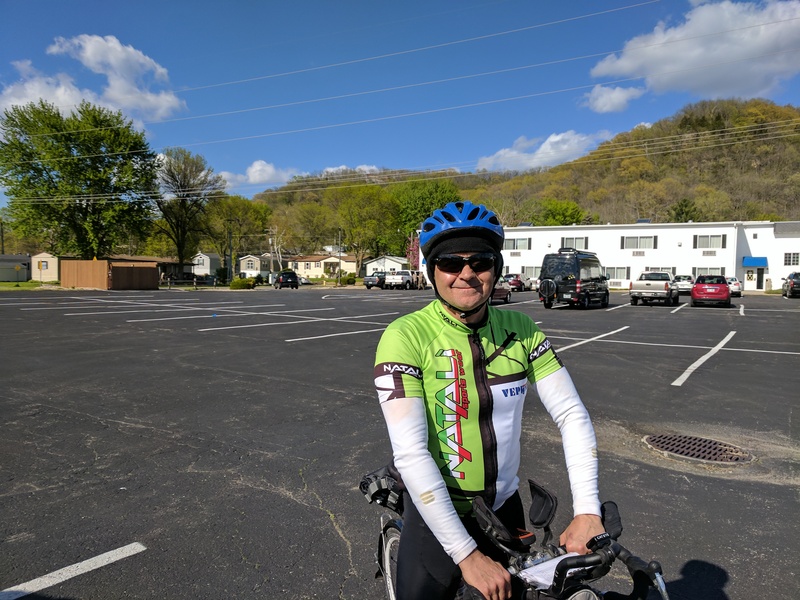 Unfortunately, Jim developed some stomach issues and rode back to Richland Center from Muscoda after completing 133 miles of the route. 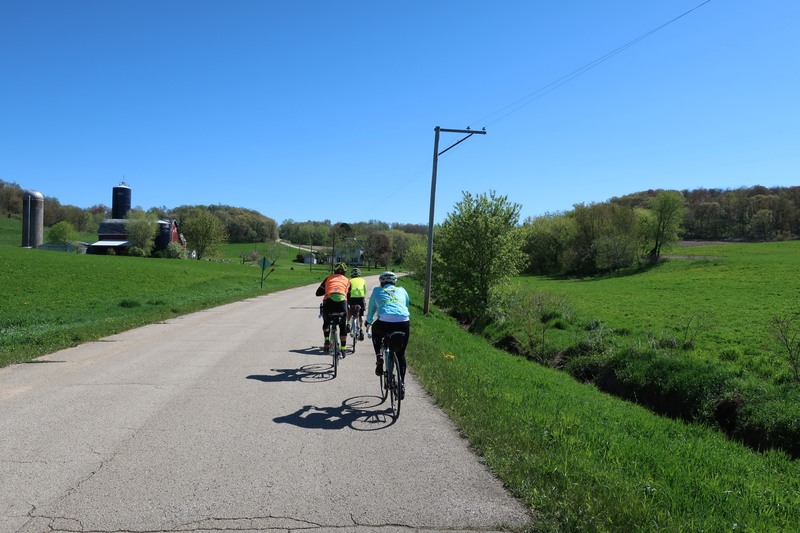 One of the real joys of riding in SW Wisconsin is the network of well maintained, lightly traveled roads. 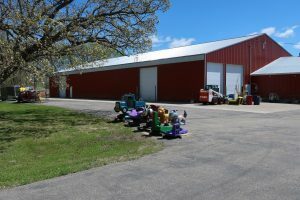 The dairy farmers discovered years ago that the milk stayed fresher on smooth roads during transport and used their (considerable) lobbying skills to influence the state to keep the roads well maintained. As a result, it’s possible to roll on smooth asphalt (gravel grinders apply elsewhere!) on a road with one farm on it and not encounter a car for miles. Ron bundled up against the morning chill. After our first challenging climb up Bunker Hill (I have a Strava segment there called “The Battle of Bunker Hill” because it is!) and its associated info control we made our way eastward on rolling terrain toward Ithica and then on to our first store stop in Plain at 50 miles into the ride. Everyone was ready for some food at that point so we made a leisurely stop before continuing on to our next destination in Rock Springs. 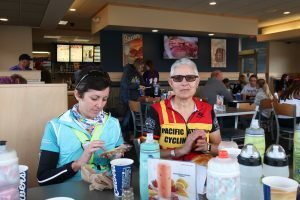 Bill, Carol and Sheri at the first stop in Plain. Yep, we’re going up that climb. Bob and Carol at the top of yet another climb. Sheri showing that hill who’s boss! This stretch features a couple of extended 7-10% climbs that really test the legs. Everyone made it up in good order and then enjoyed the beautiful views at the top and then a screaming descent into the next valley. 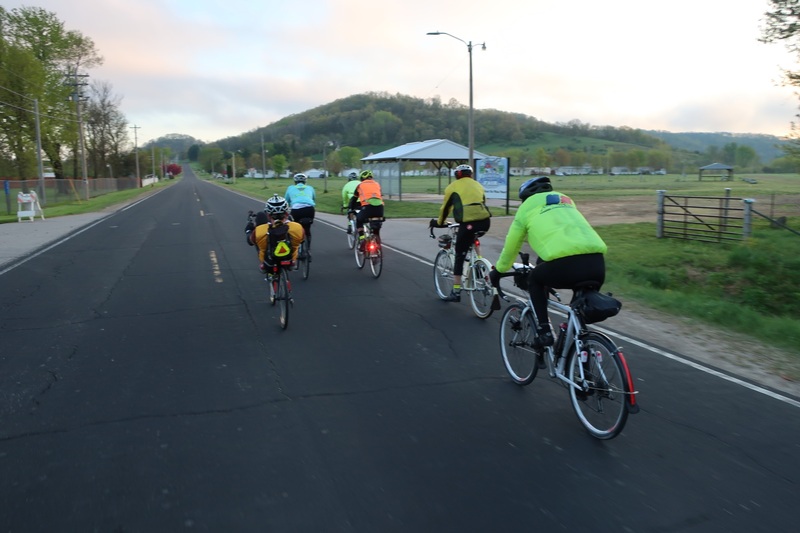 As we neared Rock Springs we encountered another large group of cyclists – the Bombay Cycling club out of Madison was having a ride that started in Prairie du Sac. We chatted for a bit with them at the control before continuing on our way to Spring Green where we’d all take a longer break and have a “sit down” meal at Culvers. Bill is every bit as happy as he looks! 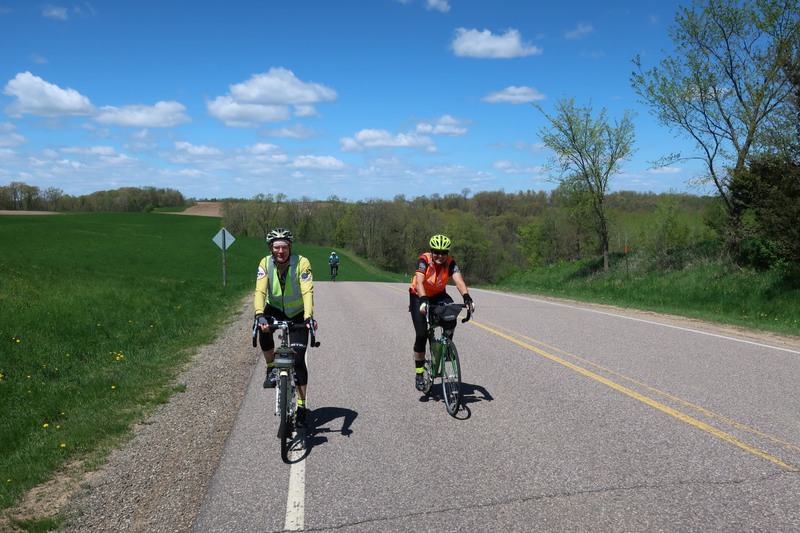 At Spring Green the 200K and 300K routes diverge with the 200K riders heading off to ride a leisurely 24 mostly flat miles back to Richland Center. Lech had been riding with us to that point so we bid him adieu and continued on our way. Not long after leaving Spring Green, Bob called out that he had a flat – on the front! Those don’t happen often (lucky Bob!) but we all stopped while he got it fixed – nice neat puncture in the tube. Not long after, the group split up on an extended climb with Bill and Greg going off the front, Bob in the middle and Carol and Sheri wisely conserving energy for the next session of extended climbing. We were all at the control at Blue River at the same time then Bill and Greg headed out together to confront the long (and I do mean long!) climb up CR-X toward the penultimate control in Boaz. We made it (but only just!) and made a brief stop at the control – eager to see the barn at this point! 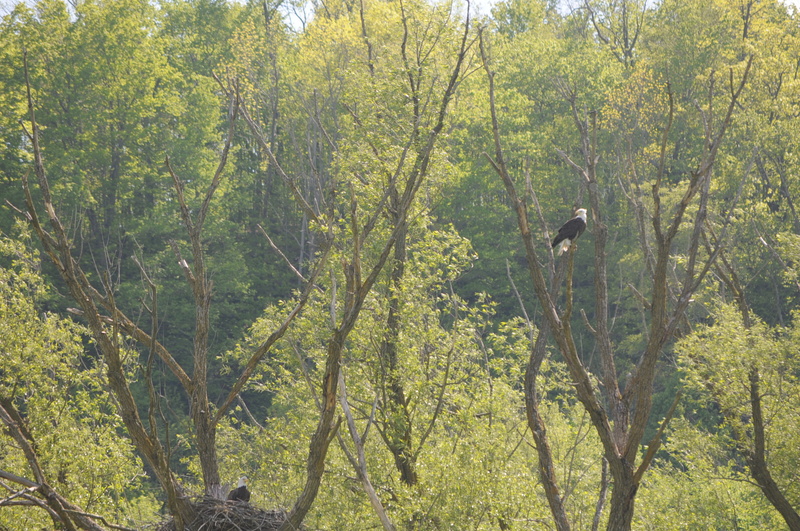 Bob was just pulling in as we were leaving. 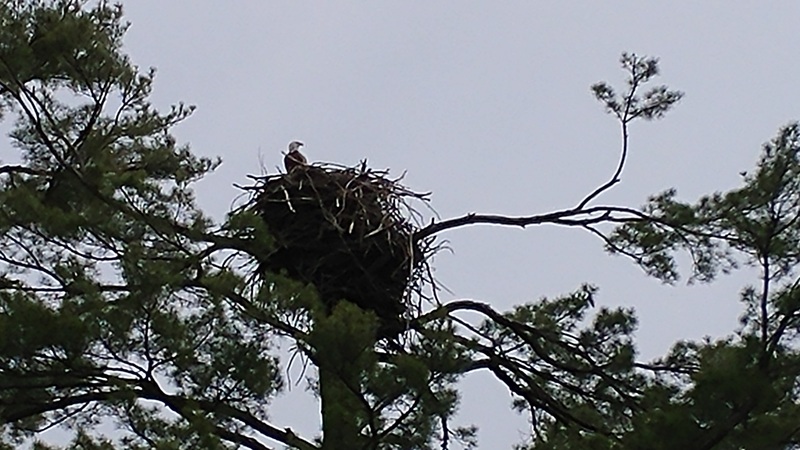 We left Boaz “in the gloaming” which is a beautiful time to ride and headed up CR-E where we passed the second eagles nest on the route. After finishing the last big climb on the route (at 172 miles!) Bill and I headed for the mostly downhill run to the finish. It was dark by then and we had one of those conversations you can only have late into a brevet. Bill was leading and something big ran across the road just out of range of his light. My light had a better angle so I saw clearly that it was a deer scrambling to get traction as it ran across the road. Bill: Did you see that? Me: Yes, it was a deer. Bill: I don’t think it was a deer. Me: What do you think it was? Bill: I think it was a donkey. Me: Bill, I’ve ridden on this road hundreds of times and I swear to you there are no donkeys on the road. Bill: Maybe it’s one that only comes out at night. We made it into the finish without further ado. Bob finished shortly after us and I thought Carol and Sheri would be along soon after. 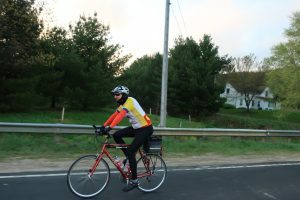 I decided to drive backwards against the route to make sure they were OK and saw them coming the other way right on the outskirts of town with only a couple of miles to go. So all in all, a great day! 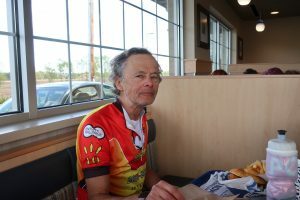 Sorry that Jim wasn’t able to finish after riding so strongly and completing two thirds of the route but everyone else finished in good order. Major props to Sheri for finishing her first 300K! Rumor has it randonnesia has kicked in and she’s already at least considering doing it again.